These can be a meal… if you plan on eating a small meal or you add protein. However, alone they make a good almost meal. I didn’t know what to think of them at first. 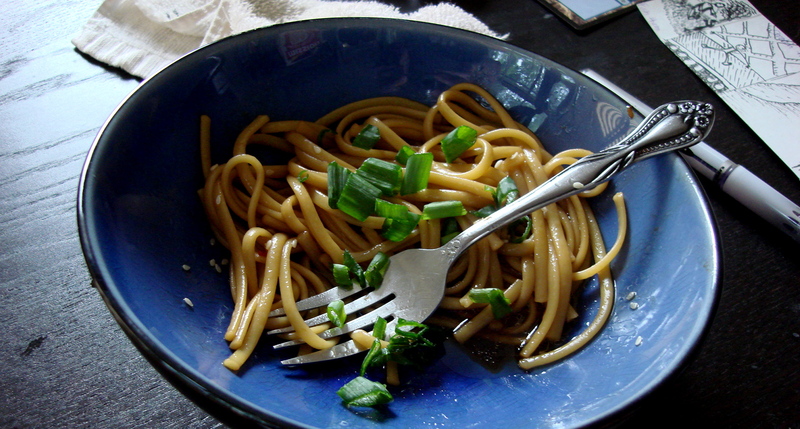 I didn’t grow up with Sesame Noodles like I did pancakes (which I loved) and casseroles (which I avoided). But I saw this recipe, and I paused to think. Then, I bought ingredients. Whisk together soy sauce, sugar, garlic, vinegar, sesame oil, chile sauce, canola oil, and water in a bowl. Cook noodles. 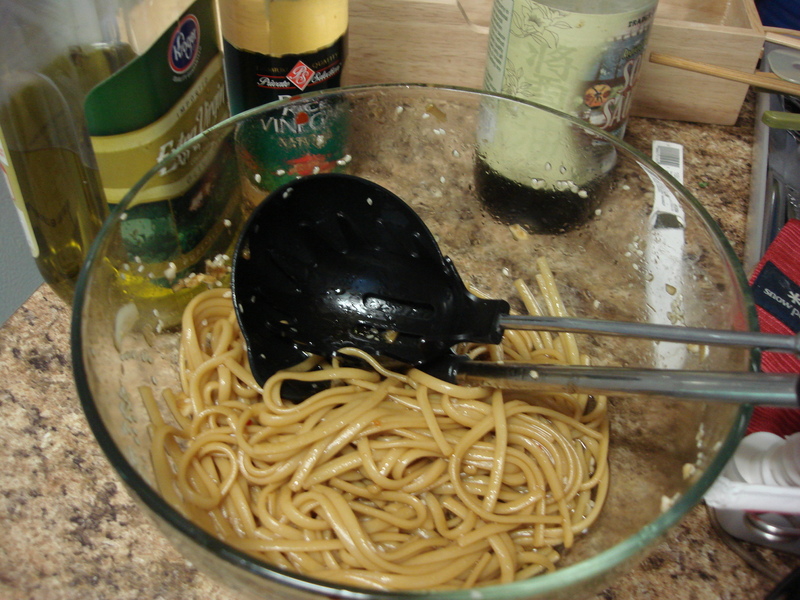 Mix noodles with the sauce until completely coated. Add green onions and sesame seeds.